Ghetto Youths International, the record label founded by Bob Marley's sons and musicians Damian, Stephen and Julian Marley, announces the U.S. Spring 2015 tour Ghetto Youths International Presents: Set Up Shop Volume 2, carrying the same name as their recently released compilation. The tours star studded reggae line up includes the GYI contingent - Wayne Marshall, Black-Am-I, Christopher Ellis and Jo Mersa – as well as Cham. All of these artists are featured on the Set Up Shop Volume 2 compilation, which peaked at #1 on the U.S. Billboard Reggae Album chart. 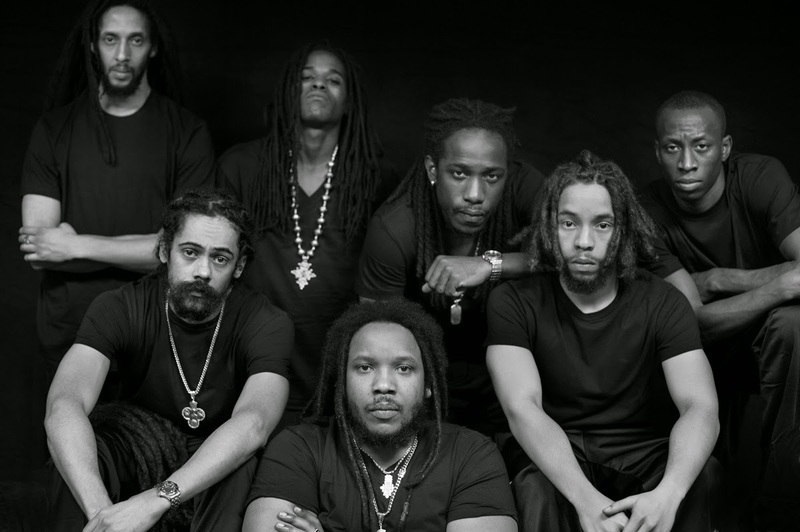 As the GYI co-founder Stephen “Ragga” Marley told Billboard, "on this album, my brothers and I share our new music and also showcase a range of new talent that is uprising in reggae. My son Jo Mersa represents the next generation and has a universal sound -- blending different genres of music with reggae and dancehall. London-based singer Christopher Ellis inherited elements from his father Alton Ellis' Jamaican rocksteady era, while mixing it with modern day soul, R&B and reggae. Dancehall vet Wayne Marshall is so versatile and can deejay or sing on any track or riddim, and reggae newcomer Black-Am-I sings from the heart of St. Ann where my father hails from making some of realest roots music. We represent the full spectrum of reggae." Throughout April and the beginning of May in the U.S., The Ghetto Youths International Presents Set Up Shop Volume 2 Tour will feature this array of rising talent live on stage. The multi-city stint includes stops in Philadelphia, NYC, Boston, Chicago, Minneapolis, Denver, Seattle, Portland, Los Angeles, San Francisco, San Diego and more. See full tour schedule below.